Even though I am a Thai Foodie, it doesn’t mean I’m religious about always having Thai food perfectly like it’s done in Thailand. For one thing, the essential Thai dipping sauce, nam plaa prik, aka, a version of Thai salt and pepper, is not at the center of my table as often as it would be if we lived in Thailand. But my Thai Hubby’s mom is in town, so of course I’m making sure that we have some always sitting on our table to magically make anything from fried eggs to Thai Glass Noodles to Thai fried rice have that extra zing of Thai flavor. Whenever I teach a Thai cooking class, the first thing I make sure students know is how Thai cooking can incorporate so many flavors all during one meal: spicy, sweet, savory, umami, sour, and bitter. All that perfect storm of flavors is why I fell in love with Thai food, and that’s why Thais love having naam pla prik on their table. It helps easily add all those delicious tastes to any dish that needs it. 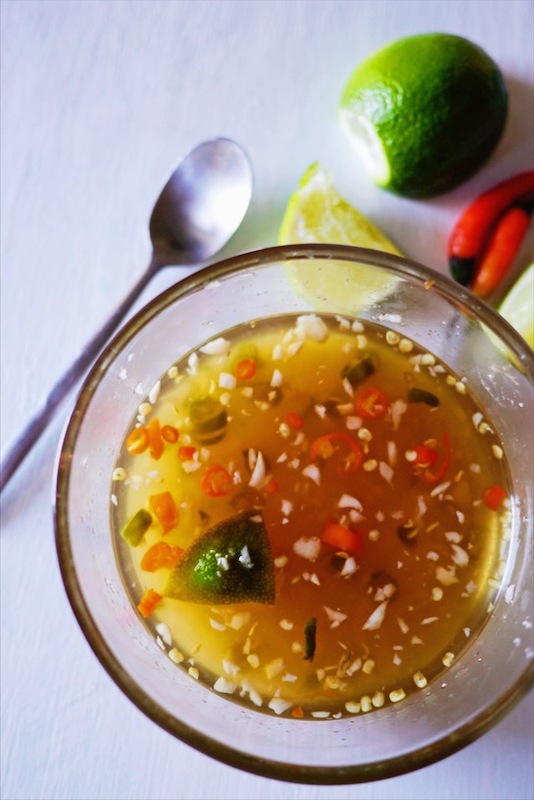 Nam prik plaa, the essential Thai seasoning sauce, is fish sauce, minced garlic, lime, sugar and Thai chili peppers all mixed together. Every time I make it I’m shocked again at how easy it is to make. But then I forget about it again, and in my last meal prep stages, after pulling my one-year old off my leg while trying to finish stir-frying, and rushing my other two to the table before hangry meltdowns ensue, I for some reason forget to quickly make my favorite Thai essential table sauce! But it’s here now and ready for your enjoyment! 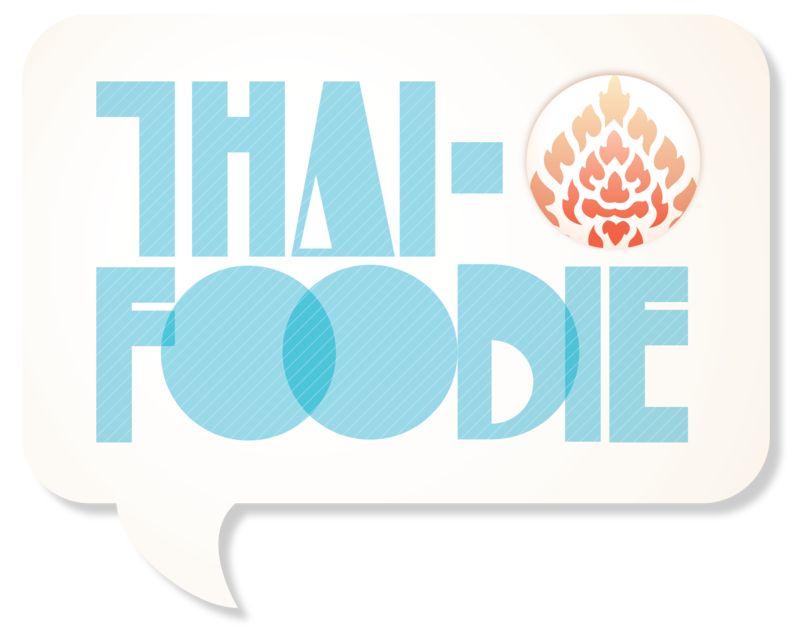 Make it today, and add that extra pop of Thai flavor to all your favorite Thai dishes! Naam Pla Prik is the essential Thai seasoning sauce that should be on every table when serving Thai food! 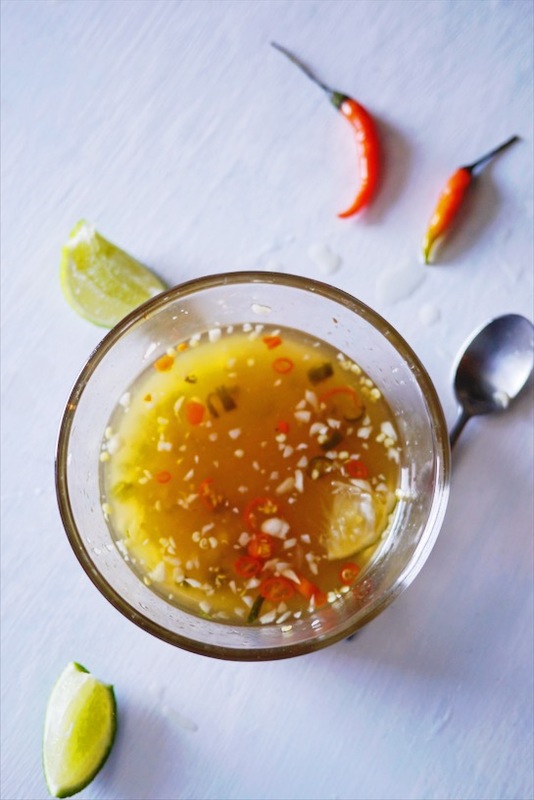 All the Thai flavors you love--garlicky, savory, spicy and sour--in one little bowl, and only takes five minutes to make! Add all the ingredients to a bowl. Mix until sugar is dissolved. The best part about Thai food is that you can make it taste to your preference, so these measurements are just suggestions. I enjoy my Naam Prik Plaa to taste mainly savory and spicy, followed by sour, and the sugar is just to balance the savory, spicy and sour flavors, not really to make it taste sweet. Feel free to taste and add more or less of each ingredient to your preference. 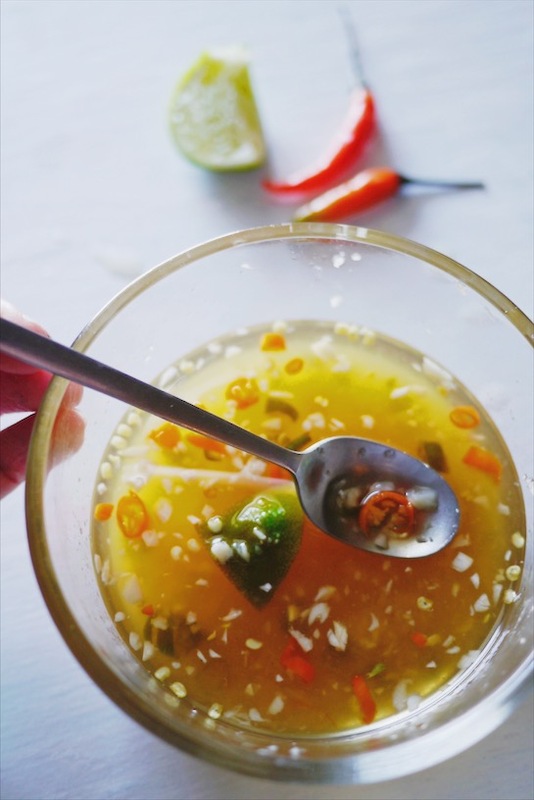 Sprinkle this on every Thai dish you love to get an extra punch of flavor! 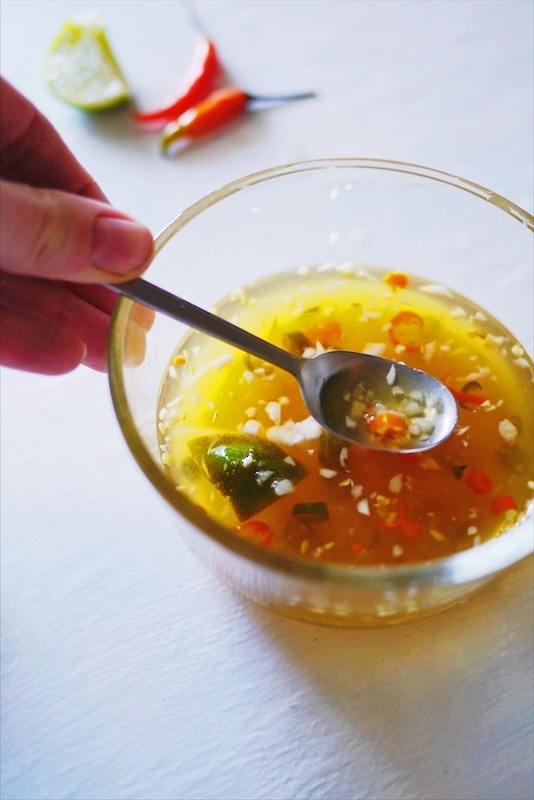 You can store naam pla prik in a jar in the fridge for up to a month, but know that the chiles will start to lose their heat intensity after a couple of weeks. My Thai Hubby likes when I add a chunk of the lime peel into the nam pla prik, feel free to do the same to give it some extra lime flavor.